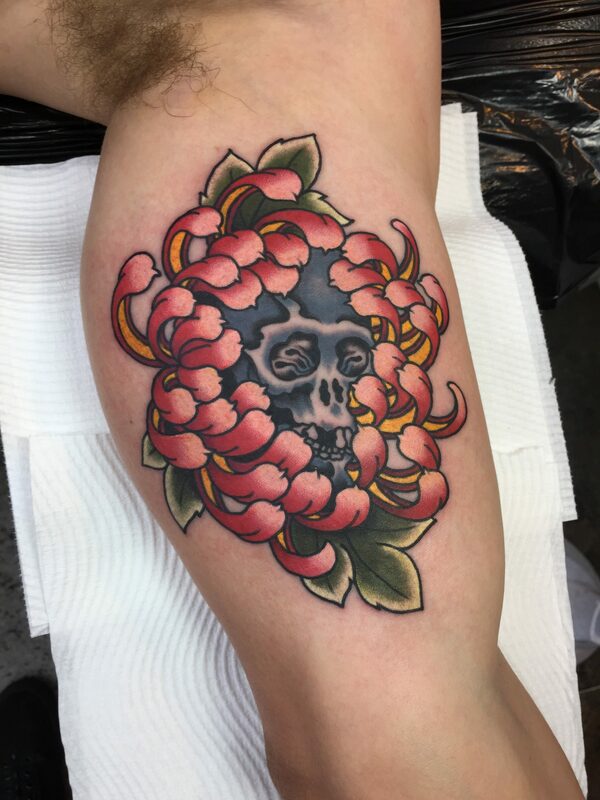 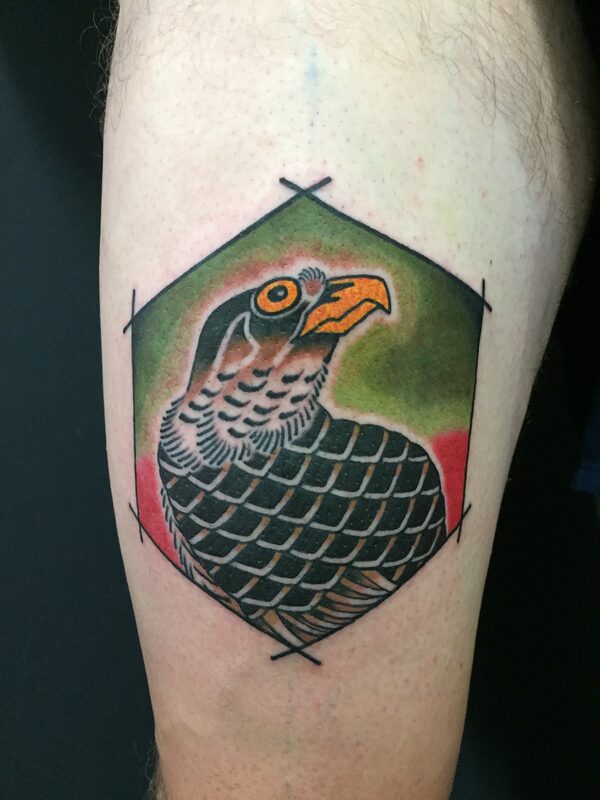 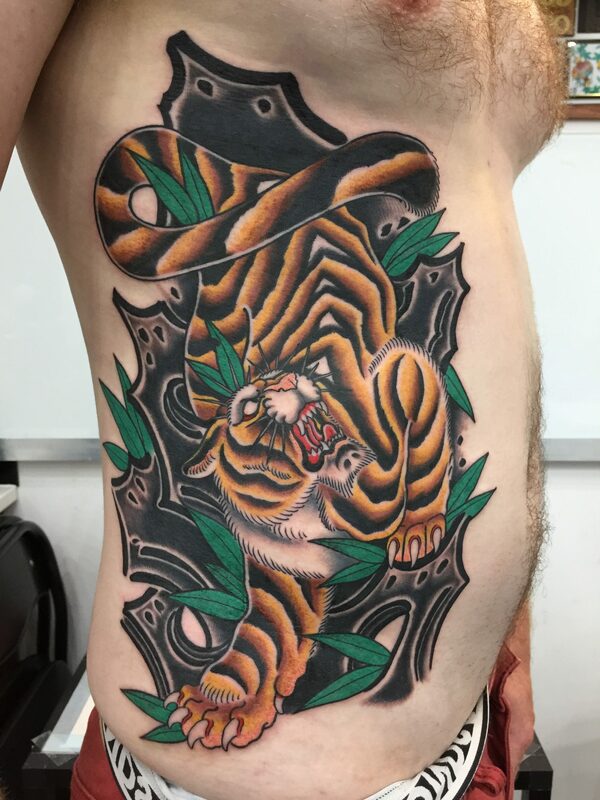 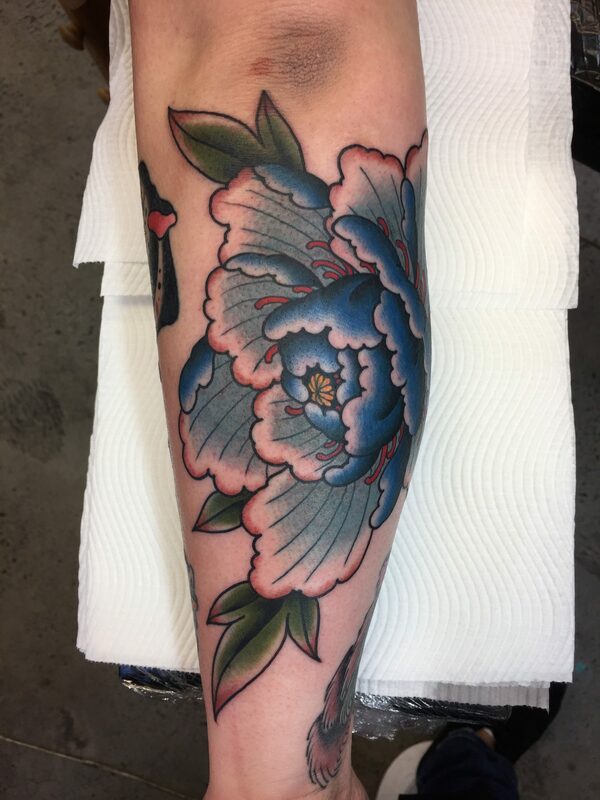 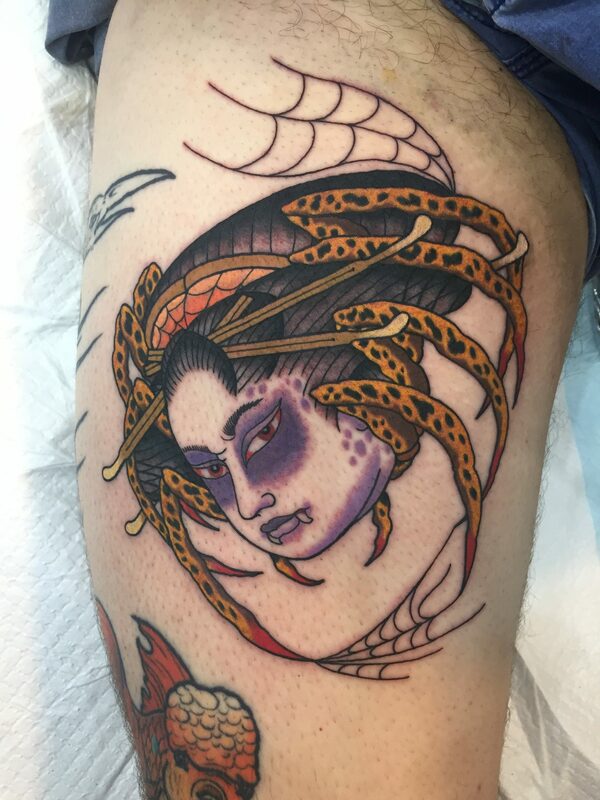 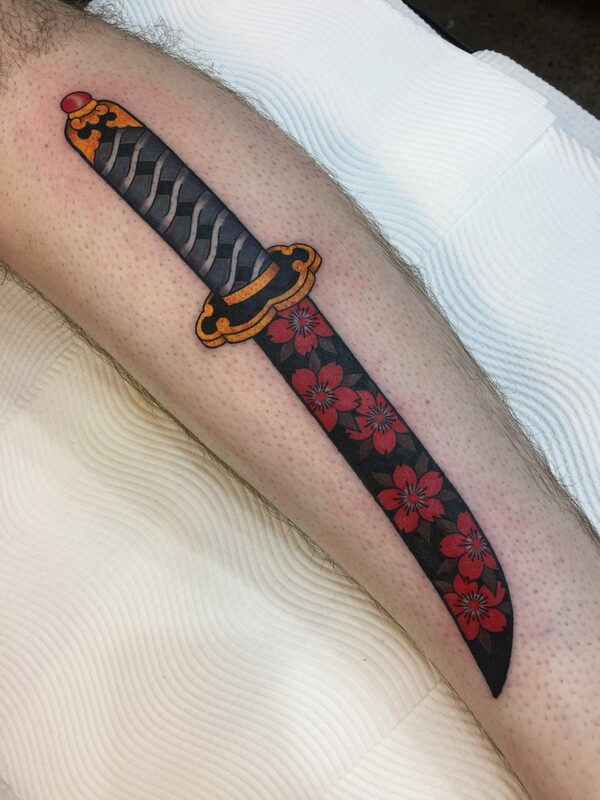 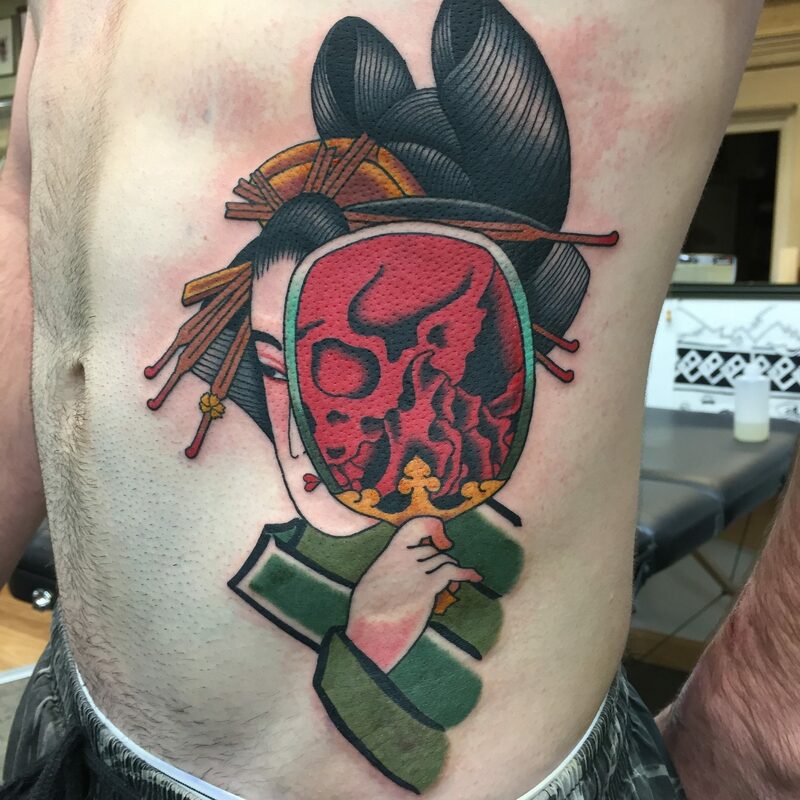 Jarrad began tattooing in 2008 in a busy Sydney street shop, and through a traditional apprenticeship learnt the foundations of a strong work ethic and what makes a good tattoo. 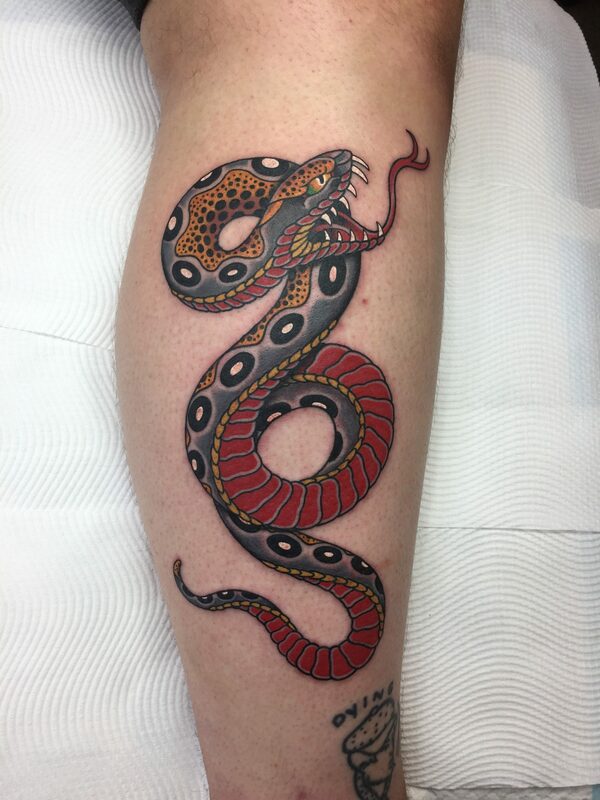 He has since lived and tattooed in Europe and around Australia. 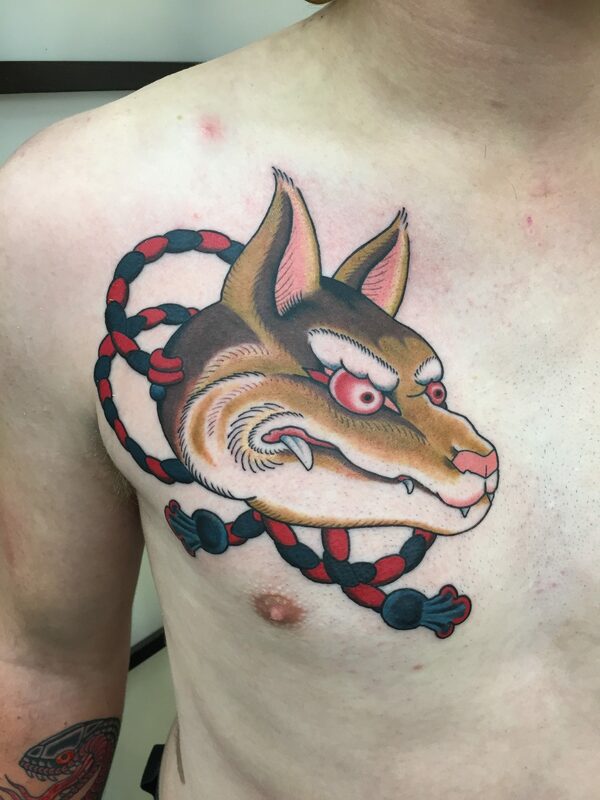 Jarrad’s style is based on western traditional, with elements and subject matter drawn from the Japanese culture. 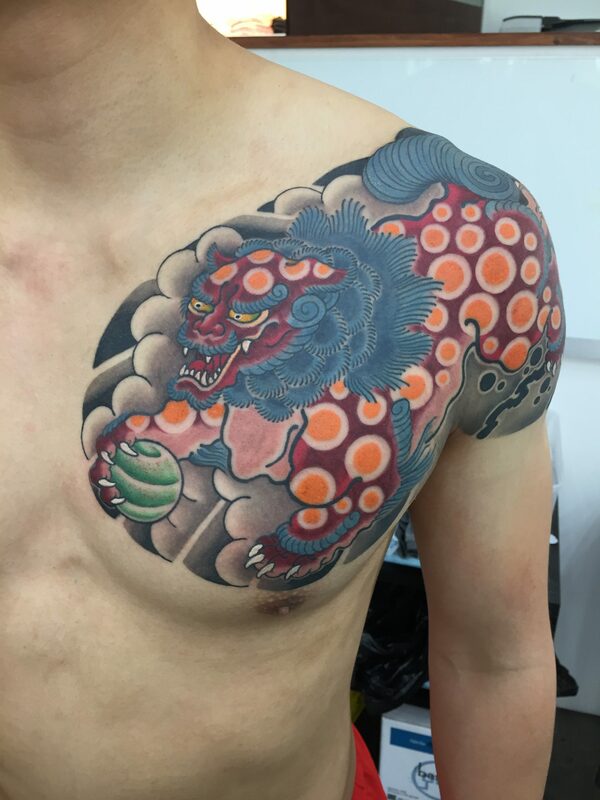 Highly contrasting large scale work that can read across the room, or single point detailed pieces for the savvy collector. 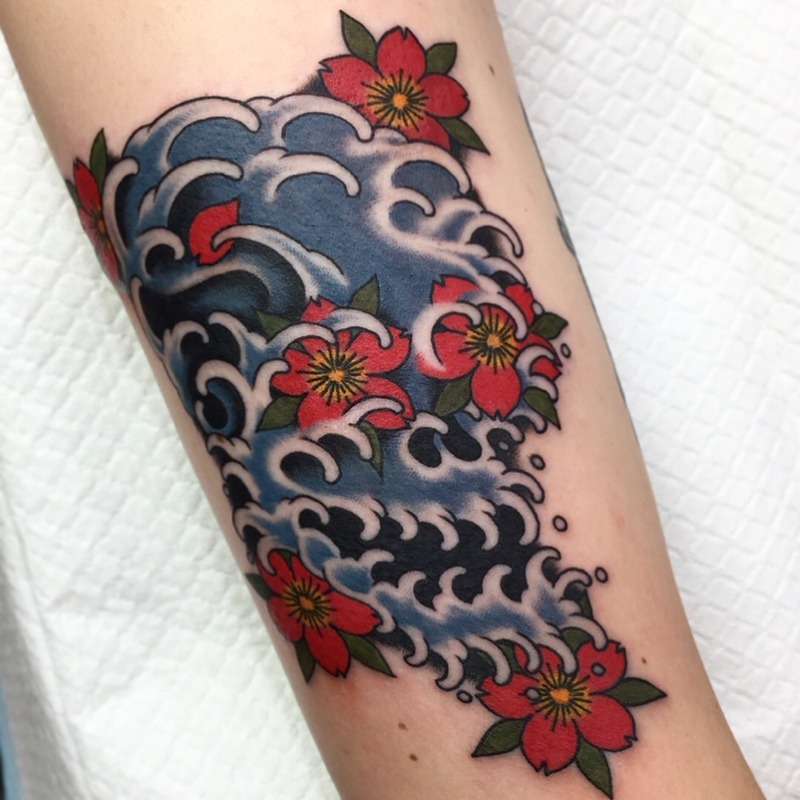 Jarrad’s tattoos float between the western and eastern styles while retaining elements of both and keeping a classic, timeless style.